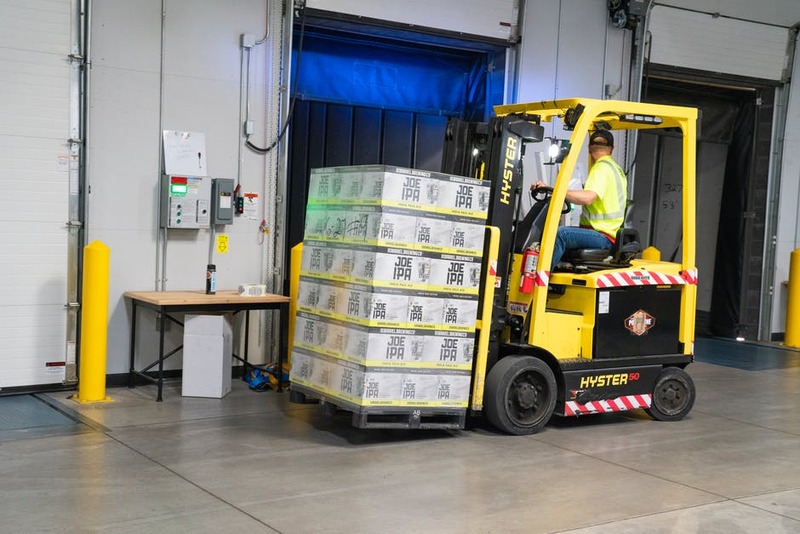 Workplace Forklift Training: Commerce, CA – If your company includes forklift operations as part of its company’s operations, then you probably know that it’s no cheap task. Second, you have the cost of maintenance. While new forklifts may cost $1 an hour or less to maintain, older forklifts can cost up to $4 an hour. With a typical forklift operating 1,500 hours a year, that can cost $6,000 annually to operate! Third, we have the cost of FINES! That’s right, if you have forklifts, then you have forklift operators, and if you have forklift operators, you have the risk of receiving fines! All forklift operators must be properly forklift certified before operating a forklift. In fact, when it is discovered that a forklift operator does not hold a valid forklift certification, OSHA penalizes the company, and penalizes them big. Serious violations can cost you $12,934 per violation! Failure to abate violations can cost you $12,934 per day beyond the abatement date! Accordingly, if your employees require OSHA compliant forklift training and certification, look no further. American Forklift Training Centers, INC is the sought after, go-to solution for Workplace Forklift Training. Our forklift certification program is designed to provide you with an extensive, yet cost-effective curriculum, to quickly train and certify your employees (regardless of size). To learn more, please visit our page on Workplace Forklift Training. However, here’s where we take it one step further. Not only do we train your employees how to operate a forklift safely, but we teach them how to inspect, maintain, and use the equipment properly to prevent unnecessary damage and required repairs. In our many, many years of experience, we have witnessed forklift operators time after time, those trained by the “other guys” improperly operate the equipment, damaging the clutches, brakes, and other parts. Why should you as a company pay for expensive forklift repairs when you don’t have to? Operators should inspect forklifts before each job. This includes the seat belts, fluid levels, horn, brakes, backup alarm, and load supporting parts. We want to save you costs and build a long lasting relationship. Therefore, our graduates are equipped with the knowledge to operate and prevent equipment damage to save you money! We also want to prevent injuries and product damages. Therefore, we highly stress the importance of such safety practices as being aware of one’s surrounding on the job site, as you never know when the load or the area itself can obstruct one’s view. As OSHA explains, operators should: (1) maintain a clear view; (2) look towards the direction of travel; (3) leverage such aids as rear-view mirrors to improve visibility; and (4) if working at night or outdoors, to use the headlights. And of course, our students are taught to ALWAYS CONSIDER THE STABILITY TRIANGLE! Factors such as unstable, heavy, and/or wide/raised loads; operating at quick stop and go pace; driving over rough terrain; or taking corners too fast can cause a forklift to fall out of its stability triangle. Therefore, to prevent tipping over, operators will have to know such things as how to: check loads for stability, completely secure and stable a load onto the forklift; keep loads low during operation and uphill when on an incline; drive slowly when the ground is wet or slippery; slow down during turns, hunk when encountering traffic, and all the while working efficiently to improve work flow and productions for you. To learn more, about our Workplace Forklift Training, please contact us today at: (323) 620-7000.